WOMADelaide 2019 lineup announcement is rich with familiar names and new discoveries. Keen WOMAD watchers might have anticipated the announcement of the Grammy-winning, Yo Yo Ma-founded Silk Road Ensemble, who last month were confirmed to headline the Kiwi WOMAD in Taranaki alongside Kidjo and NZ rapper TEEKS (who will also perform at WOMADelaide 2019). They won't be the only Grammy winners on the lineup. Here's a list of so far 2019. The latest album by Yo-Yo Ma and the Silk Road Ensemble will surprise and delight, with guest performers and imaginative sounds that transform the traditional musical landscape. 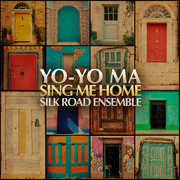 Sing Me Home is the sixth album by the Grammy-nominated Silk Road Ensemble and its founding member and guiding light Yo-Yo Ma. Available from Sony Music Masterworks. Sing Me Homeis a companion album, developed and recorded alongside The Music of Strangers: Yo-Yo Ma and the Silk Road Ensemble, a documentary feature from Oscar® and Emmy-winning director Morgan Neville that tells the story of the Ensemble and Silkroad, its parent organization. The Music of Strangers is slated for theatrical release in June. The Silk Road Project has been on a mission to promote innovation and cross-cultural understanding through the arts for the last 15 years. 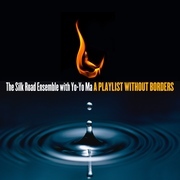 The newest chapter comes with the Sony Masterworks release of the new album A Playlist Without Borders from the Silk Road Ensemble with Yo-Yo Ma. This is the groundbreaking group's fifth recording and first since 2009's Grammy-nominated Off the Map. The deluxe edition includes the CD and a DVD, Live from Tanglewood, featuring live concert footage of two performances on June 22nd and 24th, 2012, at the Tanglewood Music Festival in Lenox, Massachusetts, as well as insightful and intimate behind-the-scenes interviews with the musicians. 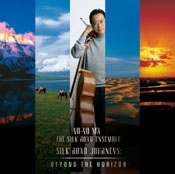 Cellist Yo-Yo Ma and the Silk Road Ensemble continue to explore the musical cultures that flourished along the Silk Road – the ancient trade route between China and the West – with their latest recording for Sony Classical, entitled Silk Road Journeys: Beyond the Horizon. The recording will be released just as the performers embark on a brief tour of major U.S. cities. Silk Road Journeys: Beyond the Horizon will be released on Tuesday, April 5, 2005. 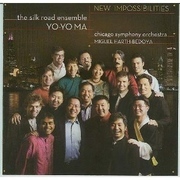 New Impossibilities, a new live recording by Sony Classical featuring multiple-Grammy-Award-winning cellist Yo-Yo Ma, the Silk Road Ensemble, the Chicago Symphony Orchestra and conductor Miguel Harth-Bedoya, will be released on July 31. 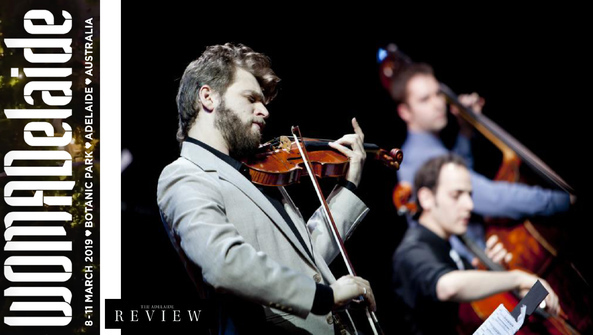 The recording is the result of "Silk Road Chicago," the first city-wide year-long residency spearheaded by the Silk Road Project, the organization founded by Ma as a catalyst for promoting innovation and learning through cross-cultural and interdisciplinary partnerships.